This Vox Populi from Asahi Shimbun talks about the nostalgia of childhood play in simpler times, when children would pick flowers (レンゲソウ). Today’s children, when asked where they play, picked “shopping mall” as one of their choices. “Should we be saddened by this, or be impressed by the kids’ resourcefulness in turning any place into their playground? How did you spend your Golden Week? Part of mine was spent close to those レンゲソウ flowers, actually, in a rural part of Japan. And the other part was spent in Tokyo, where I saw “Ready Player One”, a movie about a place and time that’s as far away from nature as you can get. My holiday reflected the two sides of the Vox Populi perfectly. How about yours? Yesterday was Coming of Age Day, which meant many (most?) 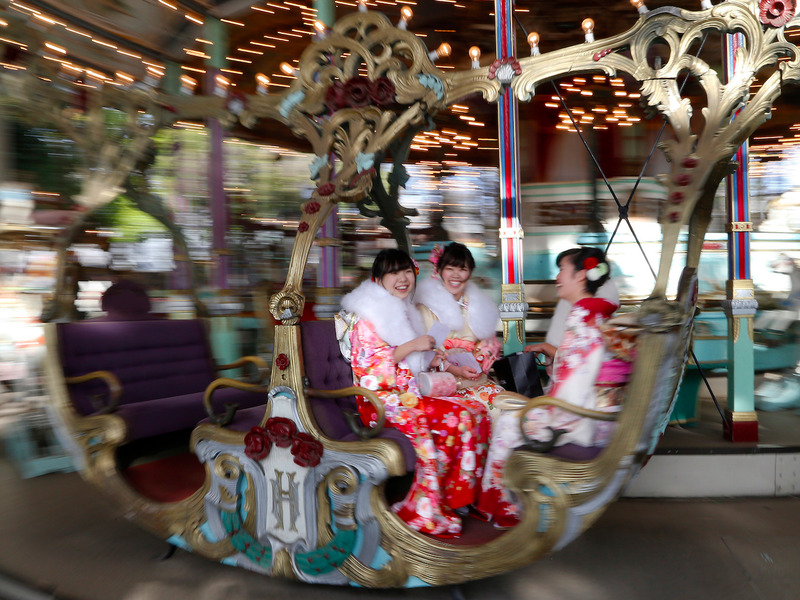 women who turned 20 in the past year donned kimonos and did their hair for the ceremony. How does this compare to women in 18th century England?